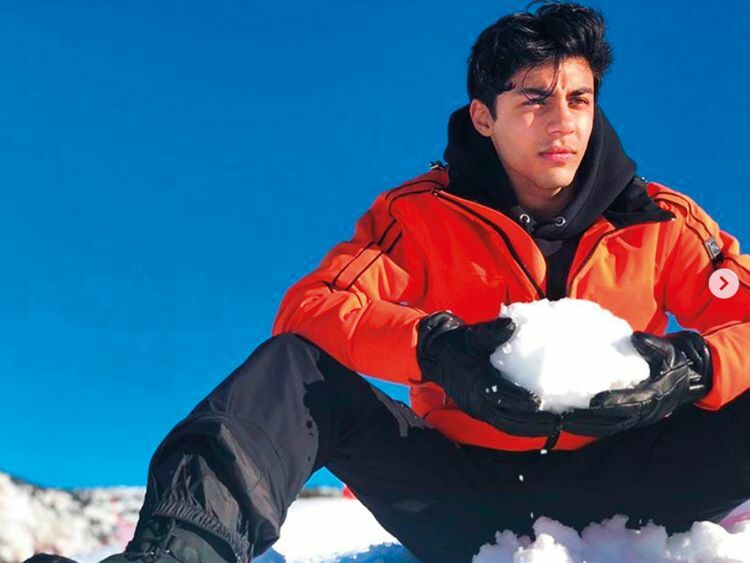 Superstar Shah Rukh Khan’s son Aryan posted a series of photographs from his holiday in France on social media. Aryan has a following of 974,000 on Instagram. He captioned the post ‘Narcos’ and geo-tagged it to Courchevel, Rhone-Alpes, France. The first of the three images show him sitting on the ground, holding a chunk of snow in his hands. Several fans compared him to Felix Gallardo, the main character from Netflix’s ‘Narcos: Mexico’, played by actor Diego Luna.